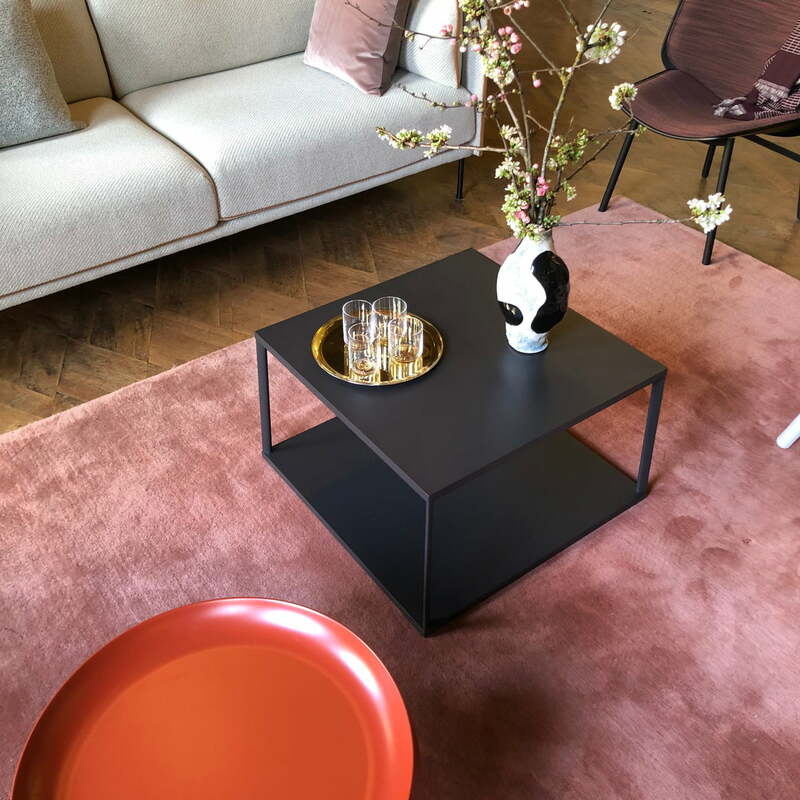 Hay the Eiffel coffee table is an airy light design by line Depping & Jakob Jørgensen, whose work focuses on geometric shapes and a minimalist composition. The table consists of two square levels made from powder-coated MDF, which are also connected by powder-coated aluminium struts. As a result, the airy light appearance can be introduced into any environment. Placed in front of the sofa as a classic coffee table, it is particularly useful to keep drinks and snacks at hand as well as creating space for books and magazines. Thanks to its light weight, the Eiffel coffee table can be transported wherever it is needed. The coffee table is available in four different sizes, that can be combined beautifully with one another. Isolated product image of the Hay - Eiffel coffee table, 65 x 65 cm, brick. The table consists of two square levels made from powder-coated MDF, which are also connected by powder-coated aluminium struts. 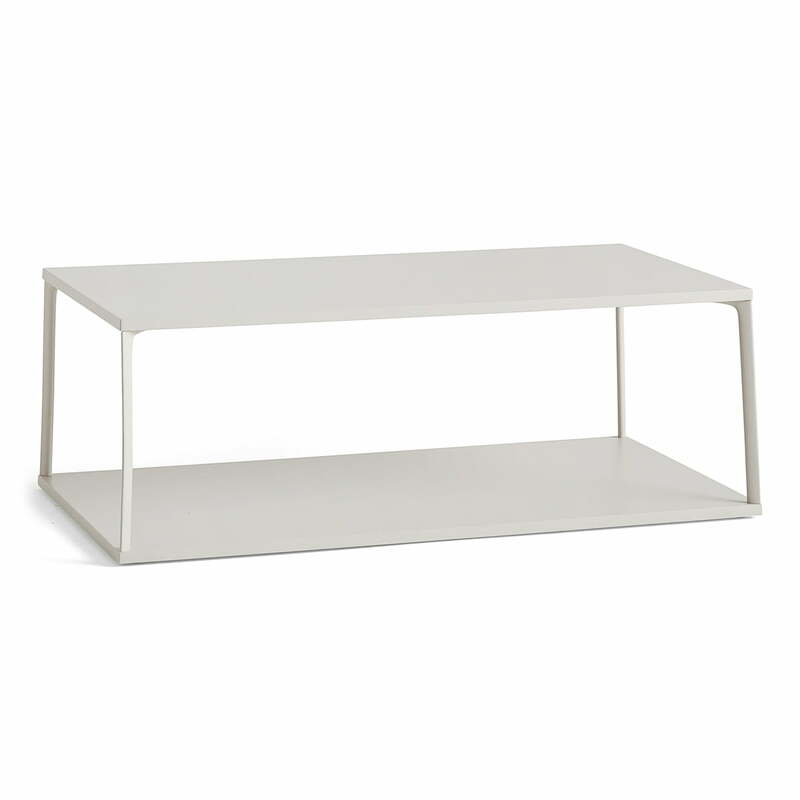 Isolated product image of the Hay - Eiffel coffee table, Eiffel coffee table, 110 x 50 cm, light grey. Placed in front of the sofa as a classic coffee table, it is particularly useful to keep drinks and snacks at hand as well as creating space for books and magazines. 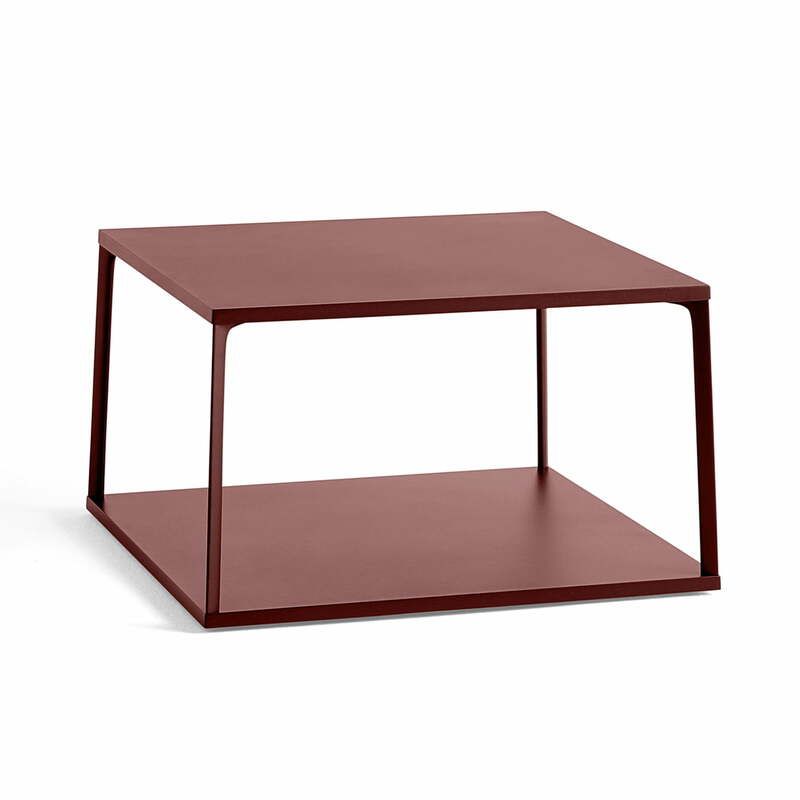 Lifestyle product image of the Hay - Eiffel coffee table, 65 x 65 cm, black. 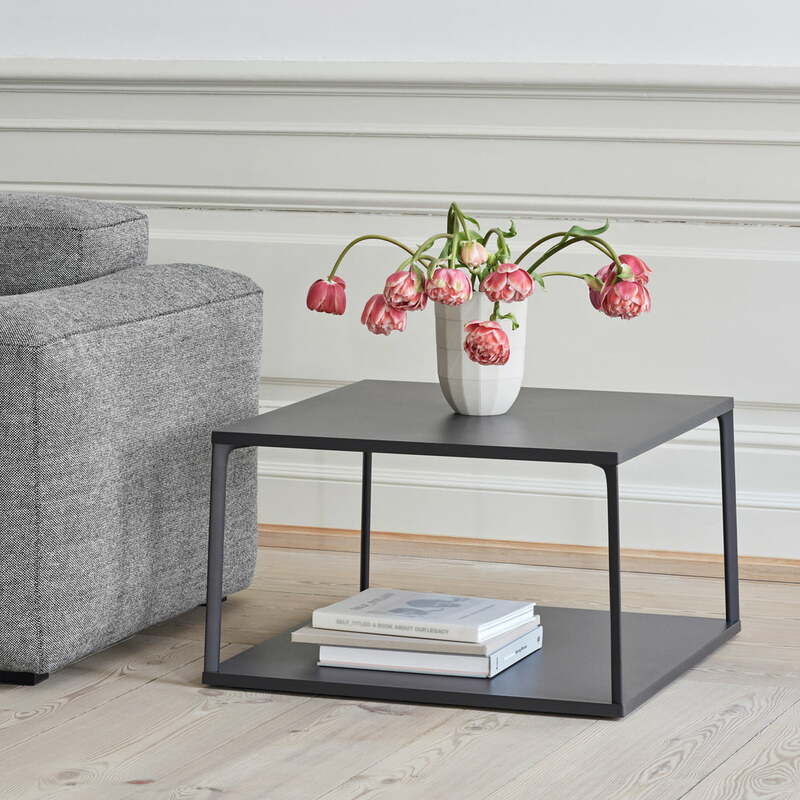 As a coffee table next to the sofa or armchair or as a bedside table, the angular Eiffel coffee table is a guaranteed eye-catcher thanks to its unusual shape.